Sterling is a town in Cayuga County, New York, lying northwest of Syracuse. It has had port facilities since the 19th century. As the use of the port for commercial purposes declined, the town became more of a vacation and recreation location. The Sterling Renaissance Festival has been held during the summer there for about thirty years. Michaels & Smolak, located in nearby Auburn, has provided legal services to several injured or malpracticed Sterling residents. Recent examples include the family of a teenage boy who died after being ejected from the vehicle in which he was a passenger; a man who sustained a blow to his head and died a few days later; and a woman who sustained a severed nerve while having her teeth removed. 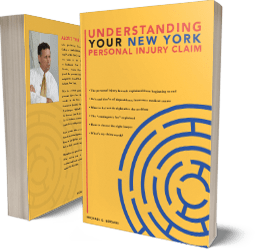 Michaels & Smolak is the firm of choice not only for many Sterling and Cayuga County residents; it is also the firm of choice for many Cayuga County lawyers, who refer all their personal injury and medical malpractice cases to Michaels & Smolak. Directions to the Auburn law offices of Michaels & Smolak from Sterling can be found HERE.